More than 75% of total healthcare costs in the United States are due to chronic conditions. The main driver of chronic disease is the interaction among genes, activities of daily living (lifestyle), and the environment. 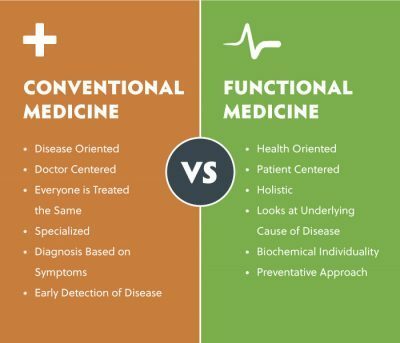 That’s where functional medicine comes in. Functional Medicine, with science, clinical wisdom, and innovative tools, can help identify many underlying causes of chronic disease and intervene to remedy clinical imbalances, even before overt disease is present. What do Functional Medicine Practitioners treat?